Pages: 110 with 12 Color Plates. Out of the seven hundred verses of the Bhagavad-gītā, Verse 18.65 captures the essence of the entire Gītā: "Absorb your mind and heart in Me, become My devotee, worship Me, offer your praṇāma to Me, and then certainly you will come to Me. I make this promise to you because you are very dear to Me." The first three chapters of The Nectar of Govinda-līlā explain the three elements of this verse in relation to our aim to enter Goloka Vṛndāvana. 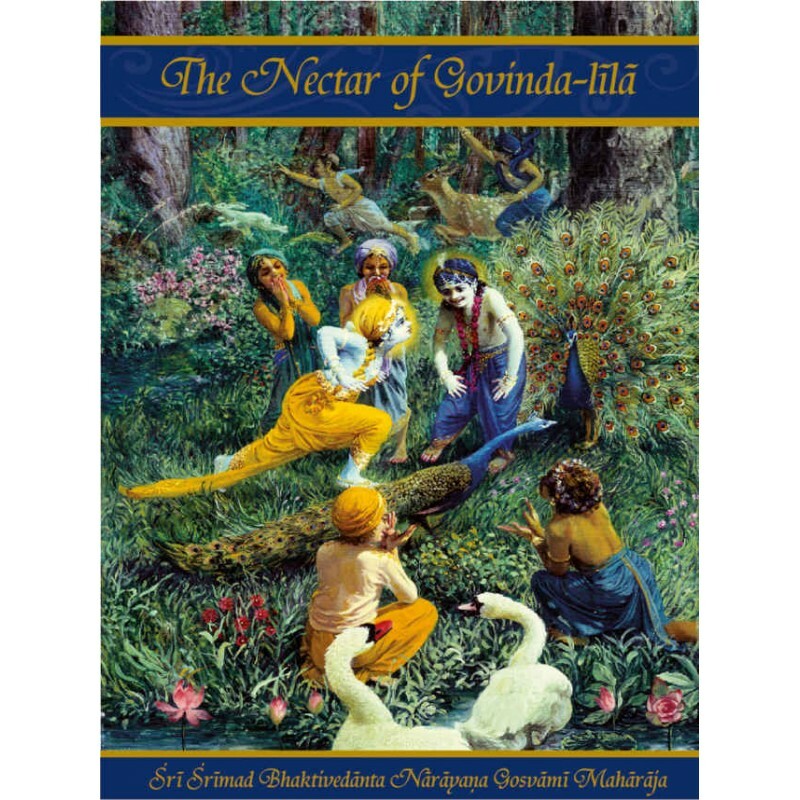 Other chapters contain a colourful description, infused with pure Gauḍīya siddhānta, of Vasanta-pañcami, the first day of Spring, and other such nectar. thousands of years, devotees have sung Śrī Dāmodarāṣhṭakam, especially in the revered month of Kārtika. Contents: Publisher’s Note, Introduction, Mangalacharana, Always Think of Me...man-mana bhava, Become My Devotee...mad-bhakto, Worship Me and Offer Obeisances to Me...mad-yaji mam namaskuru, Vasanta-pancami, Nisanta-bhajana, Sriya Suka, Glossary, Verse Index. Pages and Size : 110, 8.5" X 5.5", with 12 Color Plates.